Bluesun hotels are located on the most beautiful Croatian beaches and are ideally suited as vacation destinations. From fall 2009, Bluesun Hotel Kaj opened its doors in the picturesque town and the largest Croatian sanctuary, Marija Bistrica, situated in the lovely region of Zagorje. Bluesun hotels represent the best of Croatian hospitality; their interiors are tastefully decorated with great care, and they offer first-rate service and exquisite cuisine. Every Bluesun hotel is unique, offering a singular experience wherever the chosen location, be it Velebit, Dalmatia or Zagorje. Even the most demanding of guests will be pleased by the reliable and renowned service and quality offered by the Bluesun hotels. Bluesun Hotels & Resorts is a Croatian hotel chain run by Sunce Koncern d.d. Sunce Koncern d.d. is the first registered group in Croatia and is among the leading Croatian tourist companies. Sunce Koncern d.d. was established in 2004 as Sunce Hoteli d.o.o., majority owned by Andabak family. Sunce Koncern united hotels under an incorporated brand of Bluesun Hotels & Resorts in 2005 with the goal of becoming more competitive in the market, and took the leading position in Croatian tourist product. Bluesun makes a balance between a half of century experience and tourism tradition of Brela Hotels, Hotels Tučepi and Zlatni Rat Hotels, by fostering innovation, new technology and by implementing international hospitality standards. Sunce Koncern invested 70 million Euros in Bluesun Hotels and Resorts between 2003 and 2006. 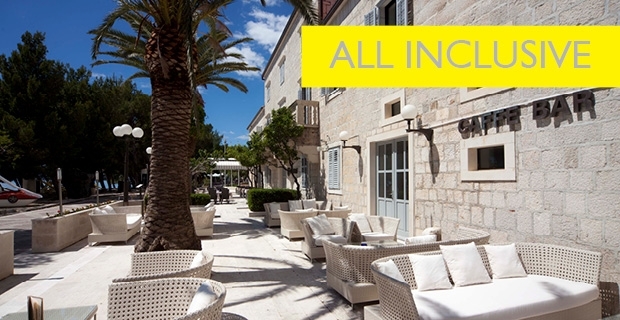 Due to refurbishment of existing properties, building new properties, and due to investment into human potential quality, Bluesun became recognized as a leading Croatian hotel chain. Health and tourism – our plan for the future! Bluesun is developing, growing and expanding not only geographically but also in its product range. The Stubaki project will include three hotels, three clinics, a spa and a thermal water complex with wellness, all this spreading over 23 acres. This is a public-private partnership with an ambition to become the leading health and tourist resort in Europe. One of the most renowned Croatian spas, Stubičke toplice, will thus once again become the cornerstone of Croatian health tourism, and will establish its place on the European market. Bluesun will endeavour to further improve its tourism product, attempting to fully develop health tourism, as well as conference, sports and wellness tourism, opening up new market segments, extending the tourist season and raising the standards on all locations of the Bluesun hotels.